While in flight a helicopter and an airplane are converging at a 90° angle, and the helicopter is located to the right of the airplane. Which aircraft has the right-of-way, and why? The helicopter, because helicopters have the right-of-way over airplanes. The airplane, because airplanes have the right-of-way over helicopters. 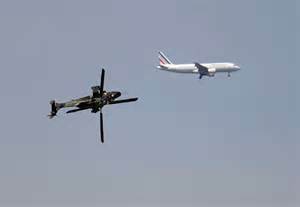 The helicopter, because it is to the right of the airplane.